Published on February 8, 2011 in General T&T, Media and Passed on. 10 Comments Tags: Express, Keith Smith. Veteran journalist Keith Smith has passed away. He lost his battle with cancer at 3.05 this morning. Smith’s career as a journalist spanned more than four decades. The Keith Smith Column, in the Express, widened his audience, making him a household name. Foreign Affairs Minister Dr. Surujrattan Rambachan extends his deepest condolences to the family of Keith Smith who died Tuesday morning after a battle with cancer. 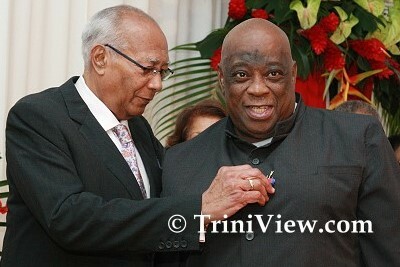 In eulogizing the Veteran Print Journalist, the Minister said Smith represented an era in Journalism that respected and upheld the highest standards in the Profession, ensuring accuracy and balance in his reporting and even when he shared his personal perspectives, they were carefully researched and skillfully penned. Minister Rambachan said he admired Keith Smith for his conviction to improve, through his writings, the life of LAVENTILLIANS, the community which he never left and to which he gave so much inspiration. “To his family, I extend my personal condolences and those of my Ministry and to the MEDIA Fraternity, I ask you to honour his name by practicing, as he did, the highest standards of Journalism”. I will miss his writing and unique style. What will I read now? 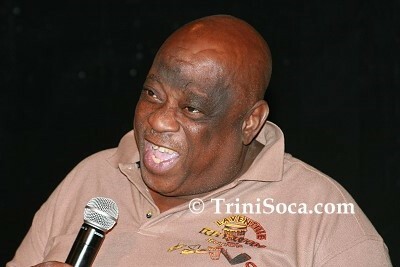 Veteran journalist Keith Smith died yesterday morning at 3 am at his home on Old St Joseph Road, Laventille. Keith Smith was the most outstanding literary talent to have emerged in this country in the post-Independence era. He was one of the most remarkable men I’ll ever meet. He was certainly the most gifted writer I’ve known, and that based on the most lightweight of literary forms, the newspaper column. 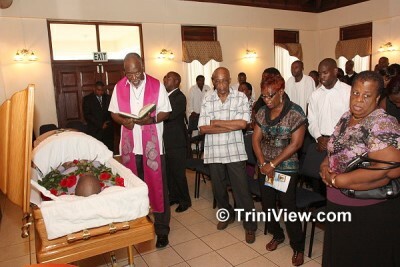 Prime Minister Kamla Persad-Bissessar says she is truly saddened by the loss of Smith. Back in the late 70’s my Husband introduce me to Keith, they were good friends Owen & I will like to send our sympathy to the Smith family. We live in Orlando and will not be able to pay respect in person. Sixty-five-year-old veteran journalist and former Express editor-at-large, Keith Bernard Smith, who passed away in the early hours of Tuesday morning at his Laventille home, will be laid to rest on Saturday morning. “Ah hear that lil feller was real miserable,” the taxi-driver said. He’ll never know how close I came, at that moment, to cutting him off for life, “that lil feller” being the dead Adrian Richards, the taxi, at the time, passing in front of the house next to where ace tuner Bertie Marshall used to live, the yellow police ribbon marking it as the fatal crime scene that it was. The Trinidad & Tobago Publishers and Broadcasters Association (TTPBA) is extremely saddened by the passing of journalist par excellence, Keith Smith, on Tuesday February 8, and extend condolences to his family, friends and colleagues of the Express, the organisation said in a statement paying tribute to him. Former CCN Journalist Julian Rogers, now General Manager Observer Media Group, Antigua joined those yesterday paying tribute to the late Keith Smith. Since his passing on Tuesday, tributes to former Express editor-at-large Keith Smith have poured in from a wide cross-section of people, including former colleagues, friends, readers and even from people holding some of the highest offices in the land. I laugh so hard because I was a skinny young man at that time who love to eat at the Express cafeteria with him,especially when they were serving callaloo,dasheen,watercress, cucumber salad, rice and pigeon peas.Keith Smith this Callaloo I will be making this Sunday is dedicated to you, I always enjoy sharing a good meal with you ! Keith was a brilliant man , very simple and down to earth. Stayed in his home town to inspire his surroundings. Long live the good writer . May God Rest His Soul. Keith Smith was the “Casual Genius” committed to discovery of his country and self and to getting the country to appreciate and celebrate its value. I had the pleasure of having Keith Smith at my home before illness restricted his freedom of movement. His visit authenticated the quality of the corn soup which he pronounced was very good. I have often wondered what people who do not read do to fill their time. I have often asked friends of mine who do not read the question but the look of surprise on their faces deters me from pressing the point, the surprise stemming not so much from the question but from the fact that it had been asked at all. On Saturday, we said our final farewell to a true hero of our land. Years of imported history and Hollywood have conspired to plant in our imaginations a concept of a hero as a person who is, or has been in their time, larger than life; who by dint of special gifts or endowments perform deeds of extraordinary courage and valour not possible for us ordinary men; a person whose legend escapes the limitations of their time and place and lives forever.